I'm always hunting for new recipes or inspiration to share. This time I loved Shape Magazine's quinoa cookies! I tried them and they are have a full nutty flavour and crunchy bite. The sweetness is delivered by the raw honey and cocoa nibs. Make a batch on Sunday and enjoy them with your loved ones the entire week. It's a conscious healthy treat and will actually energize you after a dip. 2 cookies is a treat! Preheat oven to 170 degrees. Mix all the ingredients together in a bowl. Line a cookie sheet with parchment paper. Flatten tablespoons of the mixture onto parchment paper and bake for approximately 30- 40 minutes. Dip? 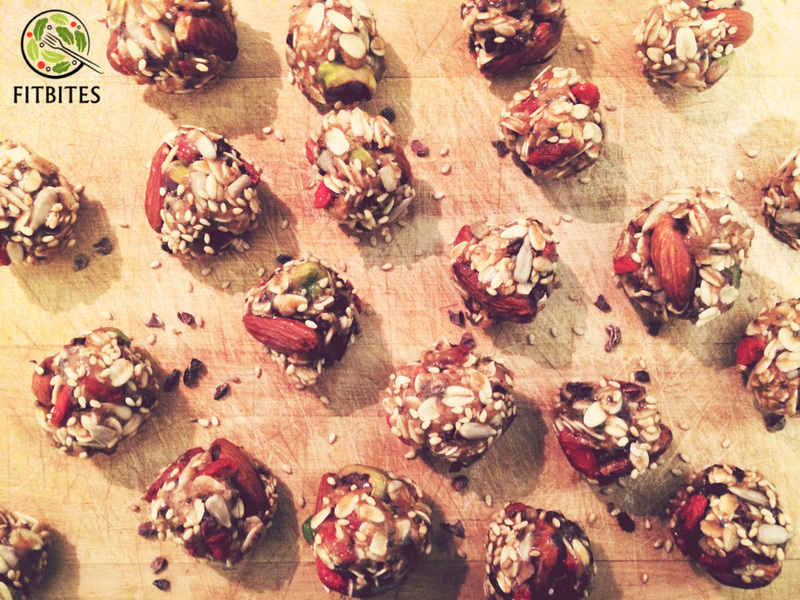 Get energy from these heavenly raw Nutty Bites! Enjoy this finger licking good raw nutty bites! Be creative and use your favourite nuts, seeds and dried fruits.... 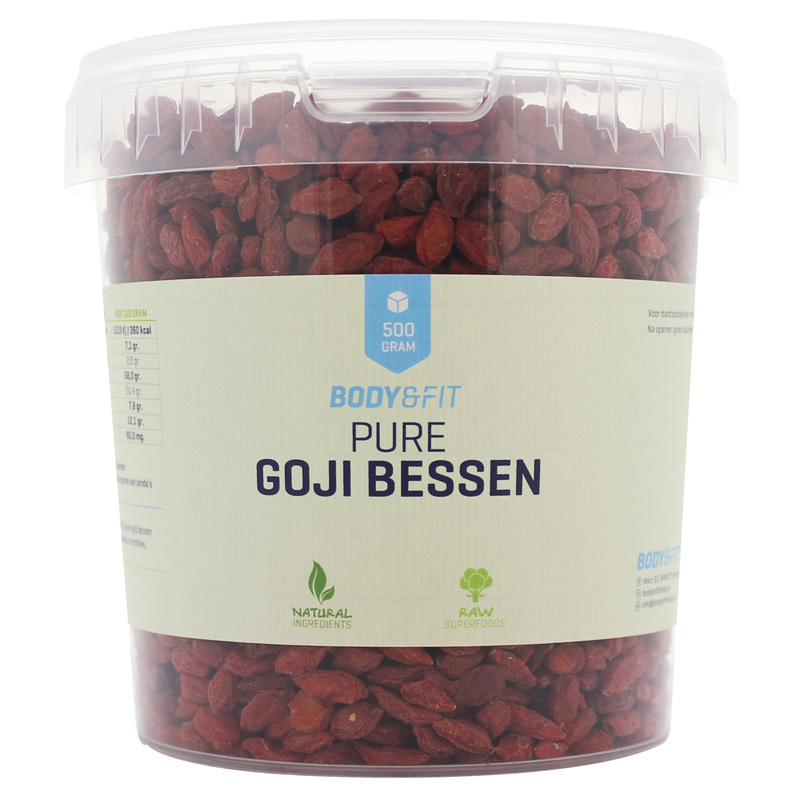 This bomb of protein and healthy fats will keep you going when you are almost giving up! Mix the peanut butter with the honey until smooth. Add the oats and mix cup of nuts and seeds (exception sesame seeds). With a spoon make small balls and place them on oven paper. It's okay if the balls aren't perfect. Sprinkle sesame seeds over them and put in the fridge for 30-40 minutes. Take them out and make them rounder using sesame seeds with the palm of your hand (to a perfect ball) as they have hardened a bit. Place them now in freezer for 20-30 minutes. Enjoy them before your work out or as an afternoon snack! These low carb muffins can be eaten as a morning or afternoon snack with your coffee or tea and leave you satisfied for a while! That's because it's loaded with rolled oats, oat bran, quinoa flour and walnuts! Lots of protein and fibre! The pure chocolate powder will help release dopamine (read more below). However moderation is key! Do satisfy your craving however watch the calories. What does your chocolate cravings mean anyway? You may be having a bad day, stress, its that time of the month, or none but you still crave for it. In that case, you may have a magnesium deficiency. As chocolate is high in magnesium -and this mineral is vital for everything from your nerves to your bones and immune system. It also could be that you want to reinforce your dopamine release! As shown by studies, eating chocolate not only releases the calming neurotransmitter serotonin (linked to self-esteem) but also seems to strengthen your dopamine response. Release of this neurotransmitter is important for attention, motivation and goal-directed behavior (losing weight!) it acts to reinforce behaviours that make you feel good. Your brain is flood with dopamine by achieving your goals. Beware that overconsumption of chocolate will not increase the release! So not only for your waistline but also for your overall happiness keep the portions in check. Eat one a day to keep the psychologist away! Grease with a bit of coconut oil 12 muffin cups. Whisk eggs, honey, coconut oil, and milk together in a bowl until smooth. Add vanilla extract in the mixture. Mix quinoa flour, rolled oats, oat bran, baking powder, chocolate powder and salt. Stir them into wet ingredients to form a batter. Add the walnuts carefully, and leave the mixture for a couple minutes, to soften the rolled oats. Fill the prepared 12 muffin cups with batter. Sprinkle each muffin with a bit of grated coconut. Bake in preheated oven for about 20 minutes, until tops have risen and are crispy, and an inserted toothpick comes out clean. Enjoy!! Do you snack on cheese too? We love cheese and seriously believe we can't quit it (or want to!). Why should we? With all the protein and calcium it provides, not to mention it's low on carbs! Just keep those portions in check (for the saturated fat) and this family favourite will never be banned from your kitchen! That's why we created this spicy snack to ease those afternoon cheese cravings. It takes just one minute to make it, whilst adding pickled jalapeño peppers to this snack will help you lose weight! That's right! Studies have found that capsaicin, the component that gives hot peppers, thus jalapeños their heat, curbs hunger and increases energy expenditure! A win-win! Jalapeño peppers are hot but not super hot, so add as much as you can eat and put that metabolism to run! As if that doesn't make hot peppers already the perfect nutrient, capsaicin has been shown to kill off cancer cells, it's anti-inflammatory and decreases cardiovascular diseases. Bring those peppers already! Sprinkle the grated gouda cheese on the leaves and add on top the peppers, 3 or more slices per leave. Sprinkle a dash of garlic powder over the leave and place it in the microwave for 35 seconds until the cheese is melted. Roll it and Enjoy! We can't say enough how versatile quinoa is (and healthy!). 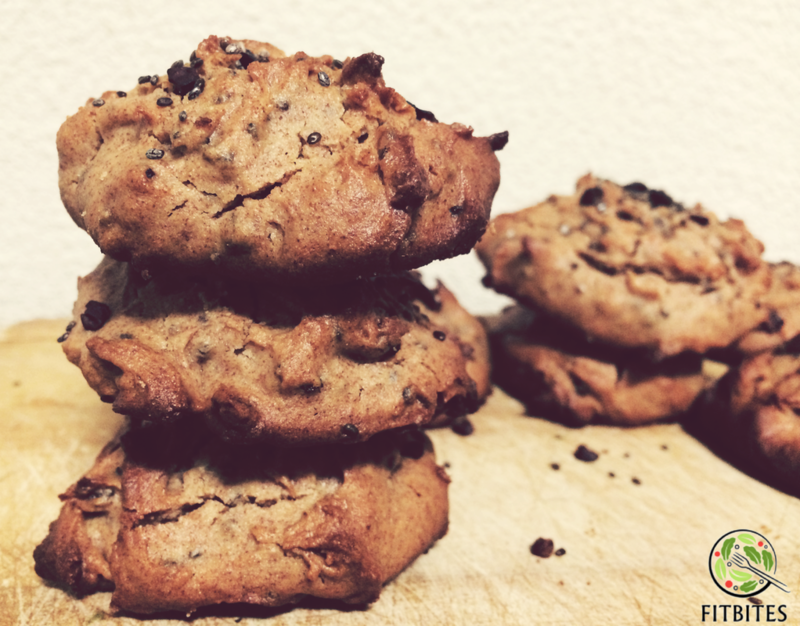 We used ground quinoa to bake these full of goodness healthy cookies. They will surprise you after the first bite, as they are soft and have a unique flavour from the quinoa. In bowl of an electric mixer beat together melted coconut oil and honey until smooth. Add in egg, egg yolk; beat again for 2 minutes or until smooth and creamy. Add in flour; and mix/whisk on low speed until just combined. 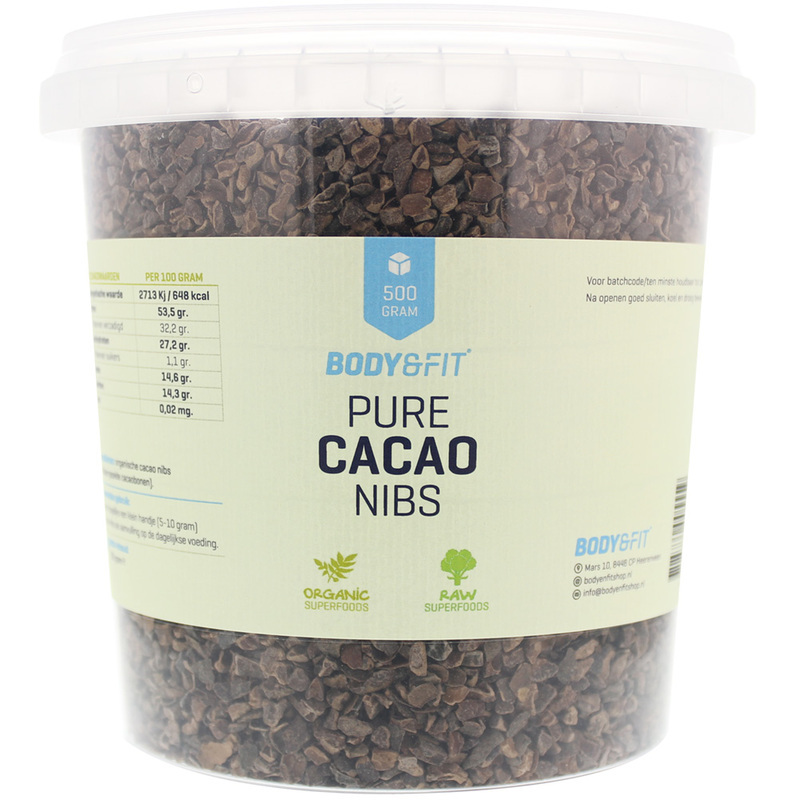 Mix chocolate nibs and chia seeds. Slowly add it to the mixture. Roll dough into 2 inch balls and place on cookie sheet leaving 2 inches apart. Bake 8-11 minutes or until edges just being to turn a golden brown. Do not over bake; cookies are supposed to be soft inside! Remove from oven and let cool at least 5 minutes on baking sheet. The cookies will need to set. Now enjoy with your morning coffee or tea! We love sushi! But we hate the white rice in the sushi. Why? White rice has a relative high glycemic index (GI), meaning that it will be digested fairly quick causing a rapid rise in blood sugar, followed by more hunger!! (high insulin production brings your sugar levels too low.) No wonder why we can eat sooo much sushi!! Hence our quinoa alternative will leave you fulfilled if you are opting for a light dinner. Also as a perfect entrée or hors d'oeuvre. Follow the instructions in the quinoa package and cook one cup of quinoa (do not season). Let it cool off for 15 minutes before making the rolls. Cut the salmon into lengths, 2cm thick. Place one nori on the bamboo mat. Add half a cup of quinoa spread over the nori, the salmon cuts, cherry tomatoes, corn salad and sprinkle alfalfa for crunchiness. Ensure that 2 cm on each side of nori are free and the filling on one end of the nori. Roll it with the help of the bamboo mat. Now make a second wrap! 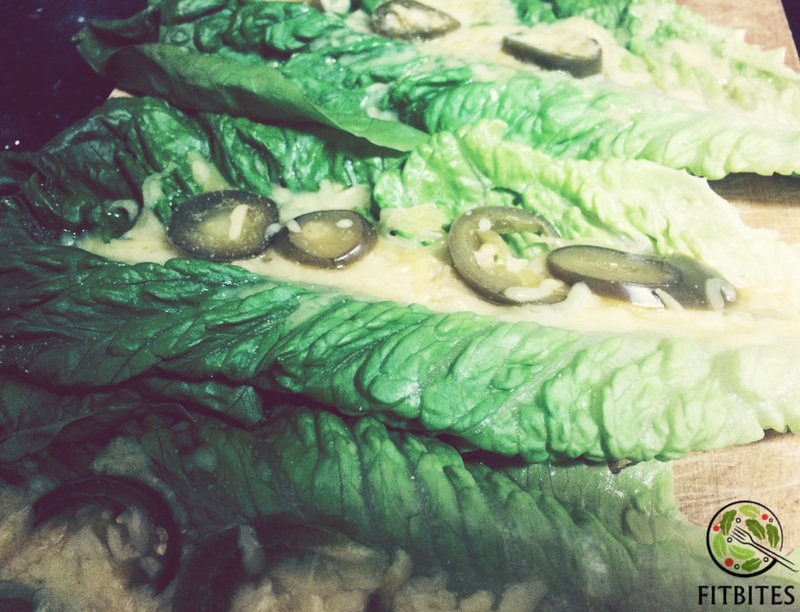 Eat it like a wrap or cut it into maki rolls as a snack. Serve with Tamari soy sauce and Enjoy!